18K yellow gold and wooden acorns featuring diamond encrusted acorn caps with 0.61 carats of diamonds and tsavorite oak leaf. 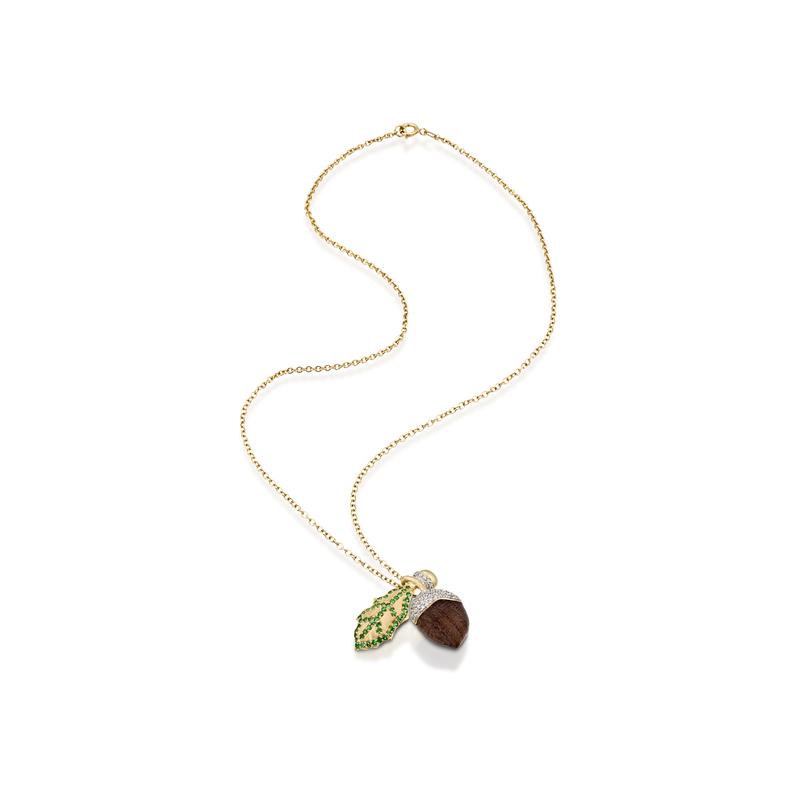 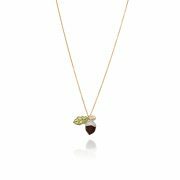 Add a splash of colour to your look with this exquisite acorn pendant featuring large and small acorns. 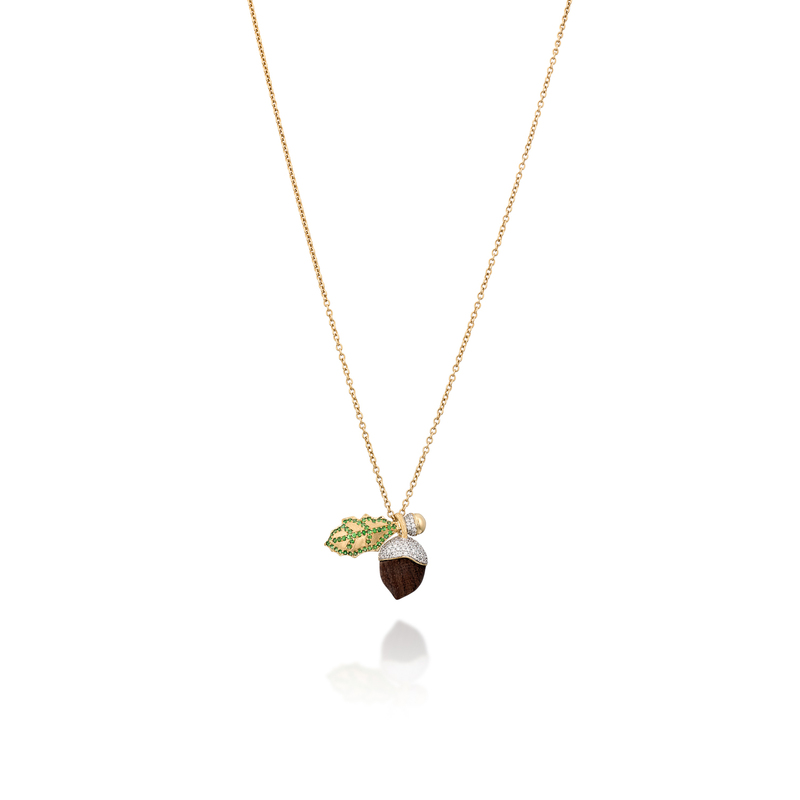 Why we love it: Understated boldness. 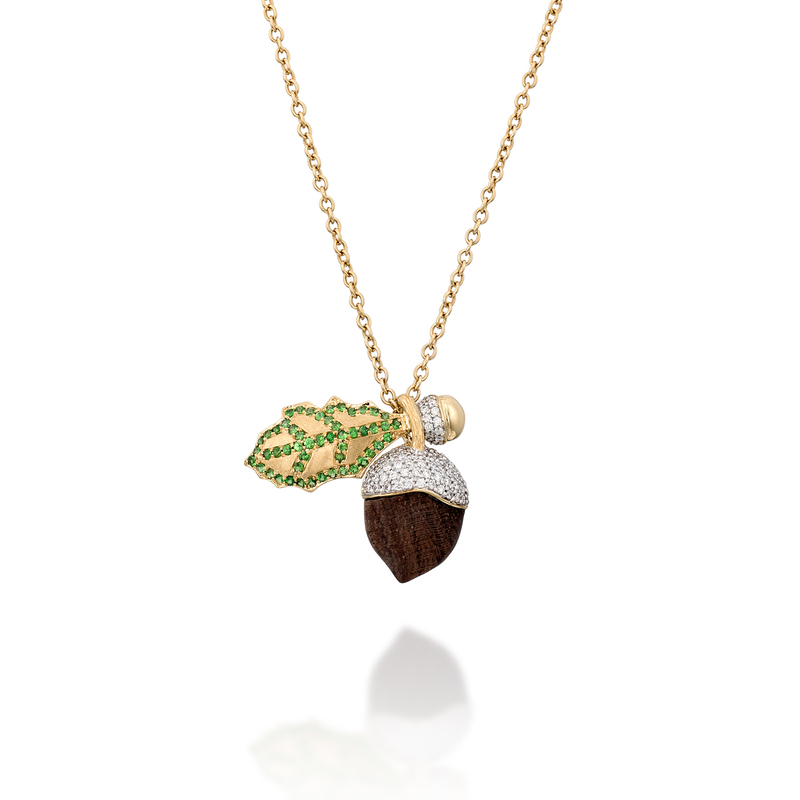 There’s something subtle yet statement-making in the combination of texture and tone that instantly lifts your look. Adds a hint of glamour by day or night.